An administrative receiver is an authorised creditor which takes control and custody of the debt incurred by a business or company. This means all the company’s assets can be sold, disposed of or become part of a sale to satisfy the secured debt. The administrative receiver is also known as an insolvency practitioner. Administrations are often a more common route for businesses to go down as a creditor or bank is only able to appoint an administrative receiver in circumstances where they are holding security in the form of a debenture. Once a debenture is enforced, fixed and floating charges become payable as part of the agreement from the lender. The charges are usually only taking into consideration the company’s assets and undertakings. This is to ensure the lenders have assurances that the monies they have advanced is protected and secure. At Bloomsbury Law, we understand entering into administrative receiverships can be stressful but please note it is of the up most importance to contact a specialist to receive expert advice. 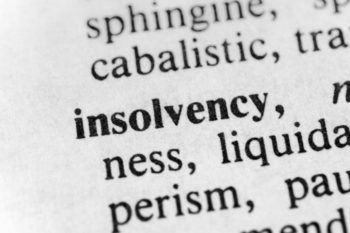 Our insolvency team has years of experience in dealing with insolvency matters and have perfected a streamlined process to make the whole experience efficient and effective for our clients. Our priority is to help our clients make the correct decisions and help guide them to a quick and simple resolution. Call us with confidence and speak to a specialist today.